Warm Up in two lines. Pitching ball to player followed by switch. 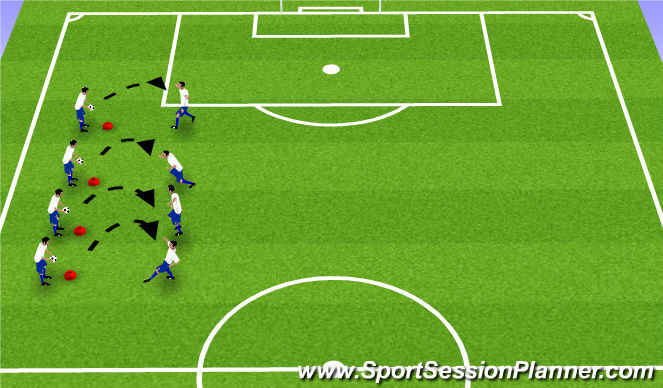 Dividing group into 1v1, Work on boxing out for 20 sec rotation. 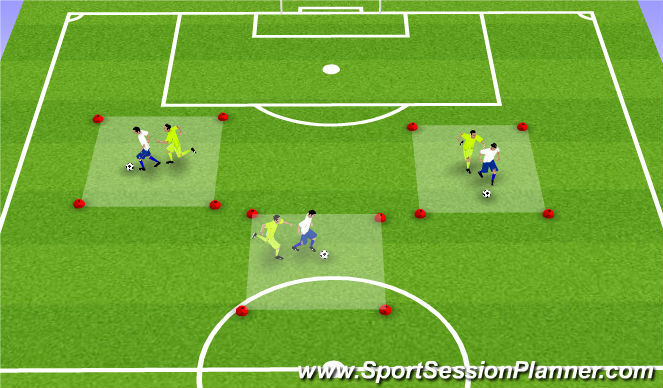 Players have to keep the ball for 20 sec without loosing it. Teams can steal from others if there are no balls in the middle. 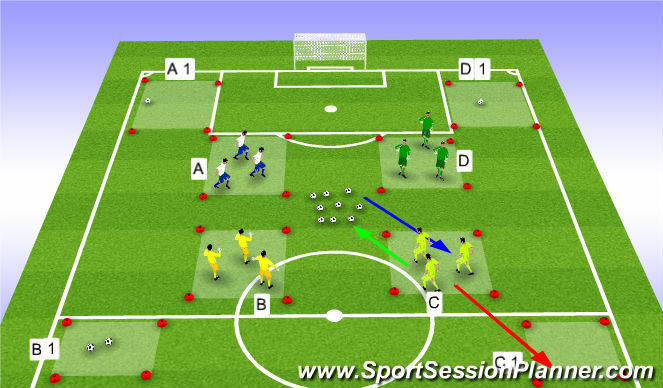 Objective is First to get 3 balls to first box (A,B,C,D) before someone takes their collected ball. Once theu get their 3 balls, they can move one ball to the outside box (A1,B1,C1,D1) and player and player can go ad get another ball from middle to move to first coned area. Team that gets 3 ball into the outside box wins. 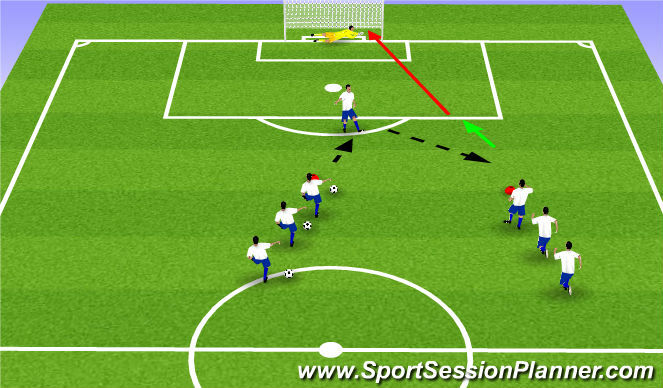 1)Shooting Drill with one touch pass.Prer touch and shot.